Sixty years ago, a group of wise and caring men in the town of Franklin realized there was a need for emergency care in the community. The Franklin Emergency Squad was organized by charter members John Burgin, Richard Johnson, Kenneth Simmons, Edward Slawson, Walter Stilson, Hubert Worden, and twin brother high school students, Richard and Robert Underwood. The first meeting was held on August 12, 1954. 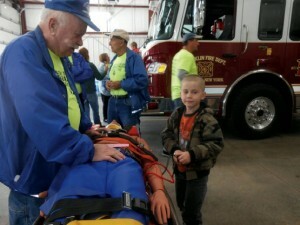 An ambulance was donated through the efforts of the Franklin Fire Department. Soon the Squad was able to purchase other needed equipment and, with the help of voluntary contributions from civic organizations, grateful patients and interested community members, it was possible to meet other necessary expenses. Through the years, other ambulances have been purchased. In 1957, a panel truck costing $1450.00 was bought and converted to an emergency vehicle. In 1962, a Pontiac Superior Coach demonstrator identical to the vehicle that transported President John Kennedy on his fateful trip in Dallas was added. In 1981, a Modular ambulance was purchased for $30,000.00 from funds obtained from Squad fundraisers, an anonymous donation and generous townspeople. The present ambulance, purchased in 2001, was paid for by fundraising events, donations and grants. No bond issue was necessary. 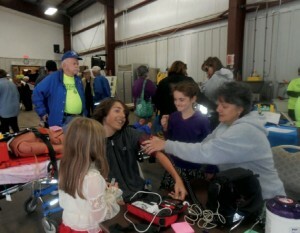 Franklin Emergency Squad has kept up with the latest trends and modern equipment used in emergency care. A state of the art stretcher, automated blood pressure monitor and defibrillator, AEDs, stair chair and scoop stretcher have been added to the equipment list. Franklin EMS has been among the first to add BLS epi pens, nebulizer treatment, glucometer reading, and Narcan for opioid overdose. Franklin’s ambulance travels thousands of miles each year, answering fire and emergency calls. Members contribute many hours of service, but also devote as many or more to classes and training. Call volume has more than doubled along with the addition of more rigorous training and certification requirements. Protocols are frequently added or changed, and must be implemented. The Squad sponsors the Red Cross Bloodmobile, presents CPR classes to Health Classes at Franklin School, the Franklin Pool Life Guards and the Franklin community. Collecting food items for the Food Bank is a yearly project as well as educational presentations to Head Start and Morning Program at FCS. The most important asset to the Squad is its members. If not for them, no amount of equipment or highly equipped ambulance would be of any use. They are the heart and backbone of the organization. Who are these people? They are some of the most committed, caring, determined, selfless citizens you will ever meet. They come from all walks of life. They are a retired school bus driver, a farmer, a retired school teacher, an electrician/plumber, a truck driver/carpenter, a retired police commissioner, retired professional EMTs, a school aide, a college student, a nurse, a code enforcement officer, a semi retired social service worker, and an assistant to the Disabled/Challenged. They are the ones who get out of bed at 2 AM to answer calls, then hurry to be at work by 7 AM, who miss a doctor’s or dental appointment, who miss a child’s school party or play, and who may have a family member at home with a serious illness. These people receive no monetary compensation. Their compensation comes from the joy of hearing the cry of a newborn delivered at home, from having the ability to treat and comfort a trauma patient, from seeing a patient regain consciousness due to their action, and just knowing that they have made a difference in someone’s life. Now Franklin Emergency Squad along with other agencies in this area and throughout the country, is facing a difficult challenge. Our Department of Health representative has said that in five years, EMS may not be as we know it today. One of the greatest challenges is recruitment and retention of members. The demands of increased requirements in curriculum and skills has become overwhelming. Becoming an EMT requires more time and skills than ever before. 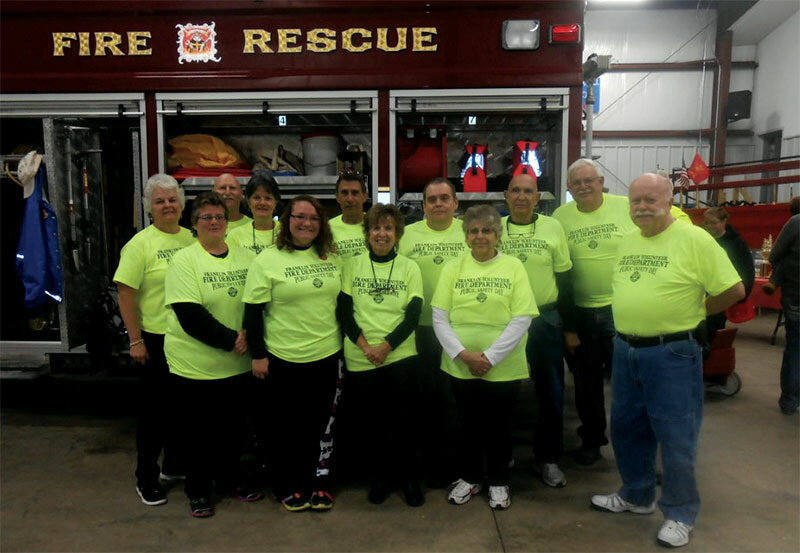 Franklin Emergency Squad needs your help now. Join your local Squad. Training is available. Help your community. Call Joan Cronauer, Captain Franklin Emergency Squad at 607-829-5092.